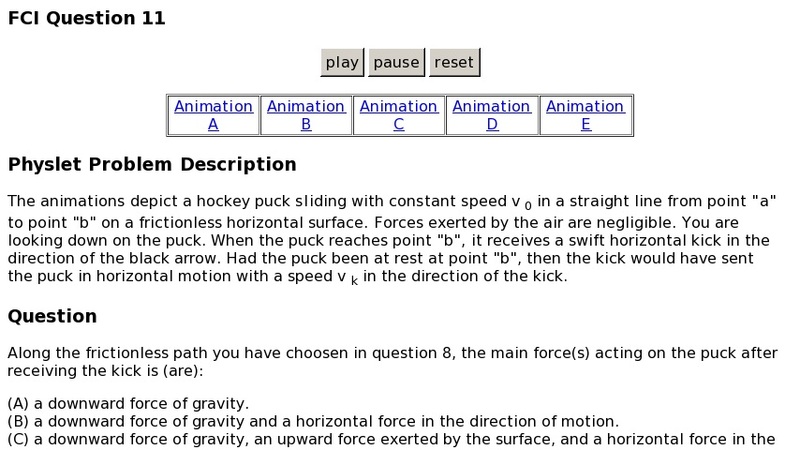 The animations depict a hockey puck sliding with constant speed v0 in a straight line from point "a" to point "b" on a frictionless horizontal surface. Forces exerted by the air are negligible. When the puck reaches point "b", it receives a swift horizontal kick in the direction of the black arrow. Had the puck been at rest at point "b", then the kick would have sent the puck in horizontal motion with a speed vk in the direction of the kick.